My Coke Rewards and David Oliver are teaming up to give you a chance to win a special day for the school of your choice. 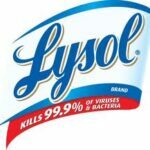 Do you remember field day when you were in school? I loved field day, because I’m competitive and it was fun. 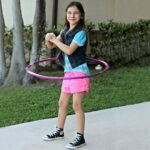 I always loves the hula hoop contest which sadly I would lose in a heartbeat these days LOL. 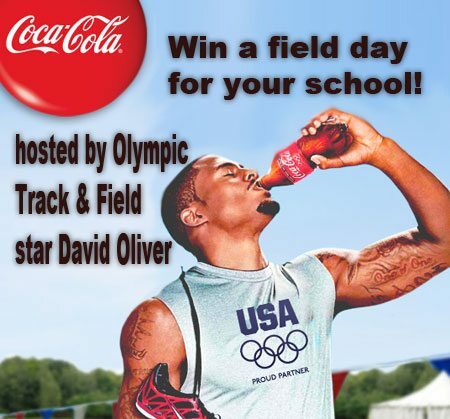 By visiting MyCokeRewards.com\FieldDay and donating your MCR points, you can enter your child’s school for a chance to win a Coca-Cola sponsored field day and visit from track & field star David Oliver! Coca-Cola has teamed up with U.S. Olympic Hurdler David Oliver to bring one deserving school an exciting field day event that will celebrate family togetherness and physical activity. “On-the-Go with D.O.” will put parents and students to the test, and David Oliver will be there every step of the way to cheer you on. 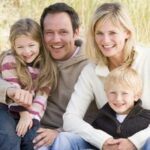 From egg toss to sack races, this event is sure to get the community on-the-go, moving and grooving while refreshing their day the Coca-Cola way. 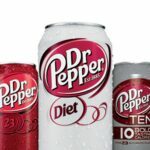 Disclaimer: The prize was provided by Coca-Cola, but Coca-Cola is not a sponsor, administrator, or involved in any other way with this giveaway. All opinions expressed in the post are my own and not those of The Coca-Cola Company. You may read more of my disclosure here. 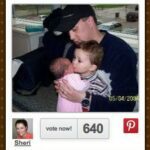 Win a $500 Amex and More By Placing Your Vote!